Milivoj Emil (Misha) Lajovic was the first non-British post-second world war migrant to become a member of the Senate, and he was also the first federal parliamentarian of Slovenian origin. Misha Lajovic was born at Ljubljana, Slovenia, on 23 July 1921. At the time of his birth Slovenia was part of the Kingdom of Serbs, Croats and Slovenes, which came into existence in 1918 after the break-up of the Austro-Hungarian Empire at the end of the First World War and was renamed the Kingdom of Yugoslavia in 1929. Misha was the elder of two sons of Milivoj Lajovic, a tube manufacturer, and his wife Mara, née Strukelj. Misha's father was a strong supporter of Yugoslav nationalism and the monarchy. The education of Misha and his younger brother, Dusan, was intended to equip them to work in the family firm, Misha on the commercial side and Dusan on the technical side. Accordingly, Misha was educated at the State Commercial Academy, where he studied business and accountancy. Like many other Yugoslavs during the Second World War, Lajovic was caught up in what became an increasingly savage three-way conflict between Axis forces, the Chetniks led by Draza Mihailovic, and another resistance group, the communist-led Partisans. By December 1943 the Chetniks were cooperating with Axis forces and the British Government withdrew recognition, in favour of the Partisans. Lajovic's younger brother, Dusan, served with Mihailovic's forces; after the war their father was convicted and imprisoned for eight years on charges which included having sent money to the Chetniks. In June 1942 Lajovic was one of a number of young men arrested by the Italians under suspicion of being supporters of Mihailovic. Over the next few months, he and others were freed by the Partisans, but were imprisoned again after declining an offer to fight with the Partisans; some of his fellow prisoners were executed. He again fell into Italian hands, and was imprisoned for three weeks at a camp in Kocevje. On his release he returned to Ljubljana, where on 12 September he married Tatjana Vidmar. They had a son, born in the following year. In May 1945, at the end of the European war, the Partisans, led by Marshal Tito, took power in Yugoslavia. Lajovic was warned that, as a member of a prominent capitalist family, it would be unsafe for him to remain in Ljubljana. He left immediately, intending to find work in Italy. As well as his native language, Lajovic spoke Italian, German and English. Travelling through Austria, before the arrival of British forces, he witnessed unforgettable scenes of 'anarchy', the 'total disintegration of a society ... of which I'm afraid more than anything else'. In Padua, Lajovic found employment as a translator with the British Army HQ for civil labour. Shortly afterwards, he was joined by his wife and son. After the departure of the British in 1948, the family struggled to survive. Both he and his wife 'wanted out of Europe, because we didn't see any future there'. Their goal was to reach a country governed by a 'British kind of system' and, after problems arose with their initial choice of Canada, the Lajovics opted for Australia. The family sailed on the Hellenic Prince late in 1950, reaching Australia in January 1951, having endured atrocious conditions during the voyage. For three months they lived at the Bonegilla Migrant Centre, near Albury, before moving to Sydney, where, for the next two years, both Misha and Tatjana were employed at Holbrook's bottling factory. They would meet for lunch in the factory canteen, 'me smelling of mustard sauce and she of vinegar'. From 1953 to 1966 Lajovic worked in a clock and car accessory factory, starting as a stock records clerk and rising to the position of assistant supply manager. His brother, Dusan, who had migrated to Australia in 1950, established Impact Containers, a Sydney-based company producing tubes, and Misha was Impact's marketing and office manager from 1966 until 1974. In the early 1950s Lajovic organised the establishment of the Slovenian Association in Sydney and became its founding president. From 1954 he was a delegate to the Good Neighbour Council in NSW, and found it to be 'a very good organisation'. He was an executive member of the Council from 1969 to 1972 and served as vice president in 1971. The Lajovics were naturalised in 1957. In the following year they accepted an invitation to join the Burwood branch of the Liberal Party. Misha became branch secretary, and was a delegate to the party's State Council from 1968. He became a member of the State Executive in 1971 and in the same year was elected president of the party's metropolitan western region. Lajovic rejected overtures to run for state Parliament but contested Senate preselections unsuccessfully in 1967 and 1974. In 1985 Don Chipp commented that Lajovic, with a foreign name, origin and accent, 'had disadvantages in the gaining of pre-selection in the Liberal Party that nobody else here has faced'. In 1975 Lajovic finally won Senate pre-selection; this time his migrant origins were an asset, as the Liberal Party was now following the ALP in courting the votes of migrant Australians. Within the party he was known as a capable organiser and fundraiser, and Lajovic believed that his reputation as a 'machine man' was a major factor in his success. He described his preselection as 'the greatest triumph of my life'. At the double dissolution election of December 1975 Lajovic was placed fifth on the Coalition ticket, but with Malcolm Fraser's Coalition securing a landslide victory, he was comfortably elected. He was re-elected in 1977. In 1983, another double dissolution election, Lajovic was returned from fourth place on the ticket, for a term of three years. Lajovic was aged fifty-four when he entered the Senate. Support for the monarchy and a belief in free enterprise came from his family background, but other firmly-held beliefs were formed during the 1940s in war-ravaged Europe, and during his early years in Australia. According to Lajovic, 'all Europe was class-oriented', while in contrast he found Australia in the 1950s to be 'the most egalitarian society I'd seen ... I thought this is the kind of society I would like to be in'. He regarded communists as implacable enemies of a 'perfect society' in Australia and believed that Australians were not fully aware of the implications of communist ideology. He identified fighting communism and socialism as his principal reason for joining the Liberal Party: 'I believe in individuals. I don't believe in being regimented by anyone'. During his first five years in the Senate, much of Lajovic's time was taken up with responding to requests for assistance from individual migrants or representative groups, on whose behalf he asked questions or tabled petitions. His work gradually diversified, and he began to ask frequent questions in the chamber on subjects ranging from secondary and tertiary education, social security matters, employment, and foreign affairs. When he did speak at length, he addressed migration and its benefits to Australia, and issues faced by migrant communities. He also 'spoke often and passionately about the evils of totalitarianism'. 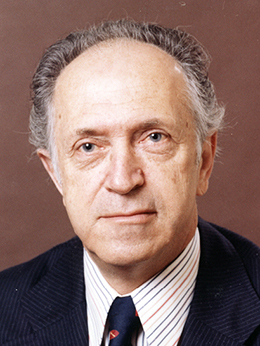 In speeches to the Senate in 1976 and 1977, Lajovic analysed the problems of migrant workers, including lack of knowledge of Australian service organisations, local ignorance of cultural differences, and non-recognition of overseas qualifications, especially for professionals (of which he had direct personal experience). He criticised trade unions for ignoring migrant workers and having few migrants of non-British background in leadership positions. Above all, he emphasised that 'language is the greatest problem for migrants to overcome. The greatest priority should be to teach migrants English'. The problems of working conditions for migrants led him to consideration of the Australian apprenticeship system and, in speeches in 1980 and 1981, he noted the high percentage of drop-outs from apprenticeship courses in Australia in comparison to other countries. Lajovic was keenly interested in the development of multilingual broadcasting, which began under the Whitlam Government, and was expanded by the Fraser and Hawke governments through the Special Broadcasting Service (SBS). As well as providing English education for migrants, Lajovic argued that other vital functions of multilingual broadcasting were the provision of information to migrants about the functioning of Australian society and, conversely, to inform 'all people who have no knowledge of the diverse cultures' of migrant communities. He drew attention, in 1980, to the extreme social isolation often experienced by migrant women without knowledge of English, confined to the home, arguing: 'Only a multilingual broadcasting and television service will break that isolation'. Lajovic was distrustful of the concept of 'multiculturalism' as espoused by the ALP. He believed that Gough Whitlam and Al Grassby, in particular, deliberately sought to create social division for political gain by targeting migrant voters, and he eventually came to regard multiculturalism in the same light. He was also frustrated by the readiness of Liberal Prime Minister Malcolm Fraser to embrace multiculturalism. In 1991, describing the concept as divisive 'rubbish', Lajovic said: 'We are building an Australian culture, not multicultural, Australian culture, which is composed of so many cultures. It's a mosaic'. Lajovic made forceful speeches on foreign policy, in which he discussed the failings of socialism and communism. He brought the attention of the Senate to those countries in South-Eastern Europe and in Asia where 'human rights are totally ignored, where demonstrations are not allowed, where individuals are treated as no one', and to the plight of refugees from 'socialist and communist dictatorships'. In 1980, while debating Australia's response to the USSR's invasion of Afghanistan, he attacked 'apologists for Soviet expansion', and suggested a parallel with European responses to Hitler in the late 1930s. He told the Senate: 'It is unfortunate that the West has still not learnt that it is impossible to negotiate with, believe in or to give any credence to a totalitarian system like Soviet socialism'. In Senate debates Lajovic referred repeatedly to federal and state Labor parties and governments as 'socialist'. His comments often provoked interjections from Labor Party senators, and in the Senate in May 1976 and February 1978 remarks were made to Lajovic by senators Justin O'Byrne and James McClelland suggesting that he was a Nazi sympathiser. In response he said: 'socialists everywhere in the world, including Australia, describe as fascists all who do not agree with them'. In November 1979 the NSW Labor Attorney-General Frank Walker tabled a 200-page dossier in the state Parliament which purported to detail the wartime activities and Nazi links of a prominent Slovenian-born member of the NSW Liberal Party, Lyenko Urbanchich. The dossier also named two other Liberals, including Lajovic, as 'war criminals', and these allegations were reported in the Sydney Daily Telegraph under the heading 'War Crimes: Three Named'. Lajovic told the Senate that 'all of those allegations and imputations are in every respect absolutely false and without any basis in fact', and he commenced a defamation action against the newspaper. Walker's report was used as the basis for an article published in the magazine Challenge in January 1980. On 4 March 1980 this article was tabled in the Senate and incorporated in Hansard by O'Byrne. Liberal senator Peter Rae protested on Lajovic's behalf: 'What is happening is denigration of a man under parliamentary privilege when the matter is sub judice and should not be pursued'. Lajovic's defamation case was eventually settled in November 1982. The Daily Telegraph withdrew the comments about Lajovic—which appeared to be based on a mistranslation of Yugoslav sources—and apologised to him. The details of the settlement were not disclosed, but Lajovic later revealed that he received forty thousand dollars in damages. Lajovic was a firm supporter of the work of parliamentary committees, describing them as 'in reality, a parliament in miniature without grandstanding and political point scoring'. He regarded his work on the Standing Committee on Trade and Commerce and the Joint Committee of Public Accounts (JCPA) as his principal contribution to the Parliament. His accountancy qualifications were useful to him on the JCPA, and he enjoyed questioning witnesses. He regularly presented the committee's reports to the Senate. In 1984 Lajovic, who was a diabetic, announced he would not be standing at the next federal election. He and his wife agreed that his health would not stand up to another six-year term; he seldom spoke in the Senate after 1982. In his valedictory speech, Lajovic said that he still recalled 'the excitement and emotion' of the moment when he made his first speech in the Senate, nearly ten years earlier, made sharper by having 'come to a new country at the old age of 30'. His years in the Senate had taught him not to 'judge people hastily or have a fixed opinion of them. One can be wrong, and I was, so many times'. He concluded by saying, 'I will be haunting this place, I hope, for a long time'. In fact, Lajovic visited Parliament on at least eight occasions following his retirement from the Senate in June 1985. He remained a firm supporter of the Liberal Party, but was no longer active in branch affairs. Misha Lajovic died in Sydney on 5 June 2008, Tatjana having predeceased him in 2004. Described as a 'tall distinguished-looking man', Lajovic's lively, modest and 'engaging' character made a considerable impression on his Senate colleagues. Senator John Watson (Lib., Tas. ), who worked with Lajovic on the JCPA, referred to him as 'remarkable' and endorsed the opinion of Don Chipp, who, in 1985, had spoken of Lajovic's 'delightful European sense of humour'. During valedictories, the Leader of the Government in the Senate, Labor's John Button, said that Lajovic had 'contributed a very strong point of view, with which not all of us would agree from time to time but which we have certainly learned to respect'. On the same occasion, the Leader of the Opposition in the Senate, Fred Chaney, pointed out that 'the surprising thing is not that Senator Lajovic became a senator, but the fact that Senator Lajovic survived to come to Australia'. This entry draws throughout on a transcript of an interview with Milivoj Lajovic by Ron Hurst, 1991, POHP; CPD, 25 June 2008, p. 5980. POHP; Misha Lajovic, 'As much as I love mountains, I still love the open spaces', in Suzanne Falkiner & Lorrie Graham (eds) Australians Today, Allen & Unwin, Syd., 1985, pp. 124–30; 'Profile: Senator Misha Lajovic', House Magazine, 17 April 1985, p. 3; CPD, 31 May 1985, p. 2949, 16 June 2008, p. 2135. POHP; CPD, 17 March 1976, pp. 572–5, 31 May 1985, p. 2978; Senator Misha Lajovic & Andrew Theophanous MHR, 'The major political parties and ethnic affairs', in James Jupp (ed.) Ethnic Politics in Australia, Allen & Unwin, Syd., 1984, pp. 38–41. CPD, 16 June 2008, p. 2168, 17 Nov. 1982, p. 2387, 25 May 1977, pp. 1376–83, 16 March 1977, pp. 215–8; Lajovic, 'As much as I love mountains', p. 126. CPD, 28 March 1985, p. 975, 8 Nov. 1977, pp. 2280–3, 22 May 1980, pp. 2671–3, 15 Sept. 1980, pp. 997–1000; Raymond Sestito, The Politics of Multiculturalism, Centre for Independent Studies, St Leonards, NSW, 1982, pp. 16–23; POHP. CPD, 10 May 1984, pp. 1922–6, 18 March 1982, p. 9434, 6 March 1979, pp. 525–9, 28 Feb. 1980, pp. 439–44, 25 Aug. 1983, pp. 266–7, 26 May 1983, pp. 921–3. CPD, 25 May 1976, p. 1888, 22 Feb 1978, p. 46, 1 March 1978, pp. 232–5 , NSWPD (LA), 29 Nov. 1979, pp. 4240–2; Daily Telegraph (Syd. ), 30 Nov. 1979, pp. 1, 11; Press Statement, Senator Misha Lajovic, 21 Dec. 1979; CPD, 4 March 1980, pp. 530–4; POHP; CT, 17 Nov. 1982, p. 12. SMH, 12 April 1984, p. 2; POHP; CPD, 31 May 1985, pp. 2947–8, 2977–8; Lajovic, 'As much as I love mountains', p. 124; CPD, 16 June 2008, 2135, 2167–9, 17 June 2008, p. 2490. This biography was first published in The Biographical Dictionary of the Australian Senate, Vol. 4, 1983-2002, Department of the Senate, Canberra, 2017, pp. 47-51.